ewe hooo! 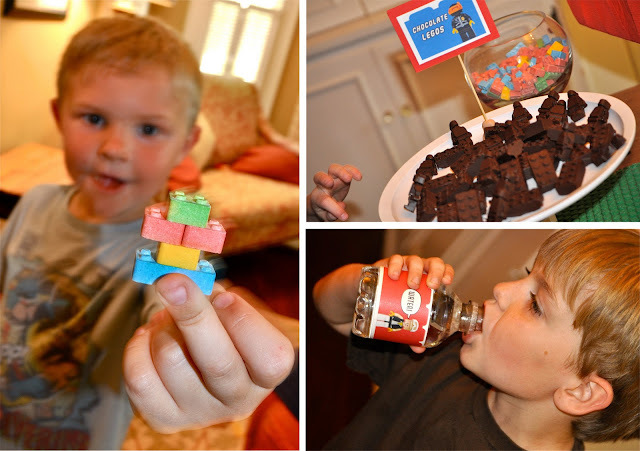 : Jackson's LEGO Builders Birthday Party! There was no school last Friday, so we planned Jackson's Lego party for that day to kick-off our Spring Break! 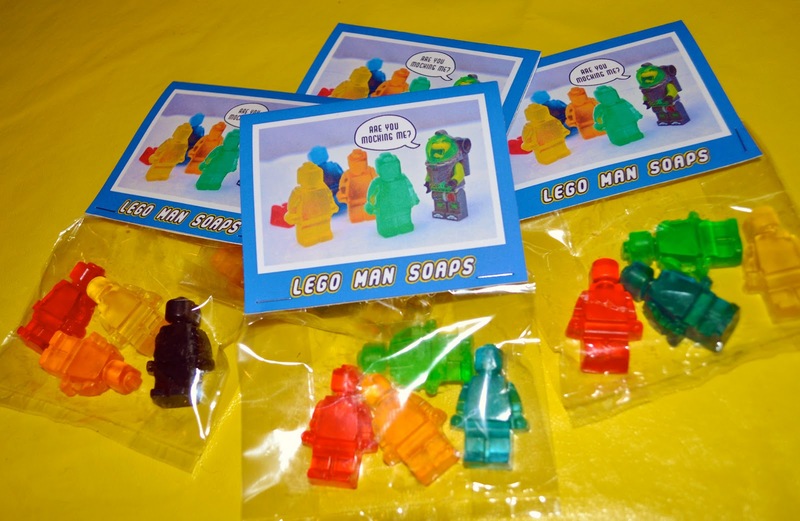 If you didn't see the Lego Party invites I sneak previewed last week, have a look here. 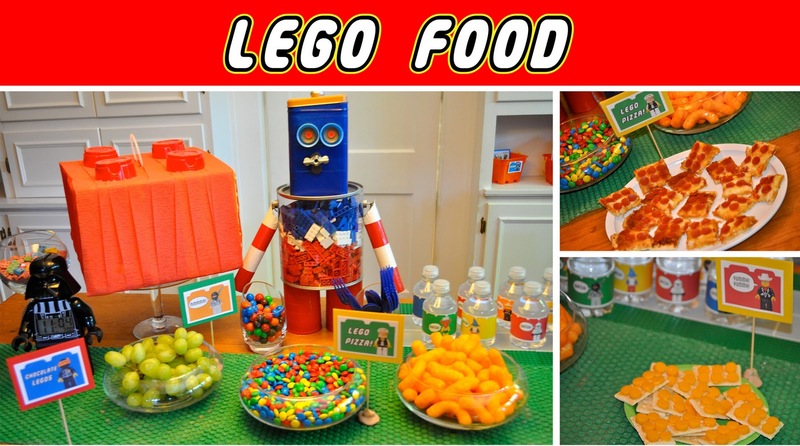 Later this week I will also post some "how-to's" for some of the Lego crafts I did for this party. Enjoy! THIS LEGO PRINTABLE KIT IS NOW AVAILABLE IN MY SHOP! 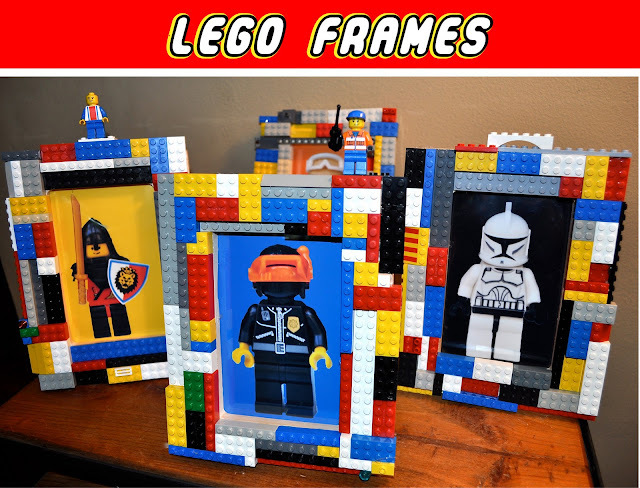 I made these Lego frames by hot gluing real Legos onto wooden frames from the craft store. 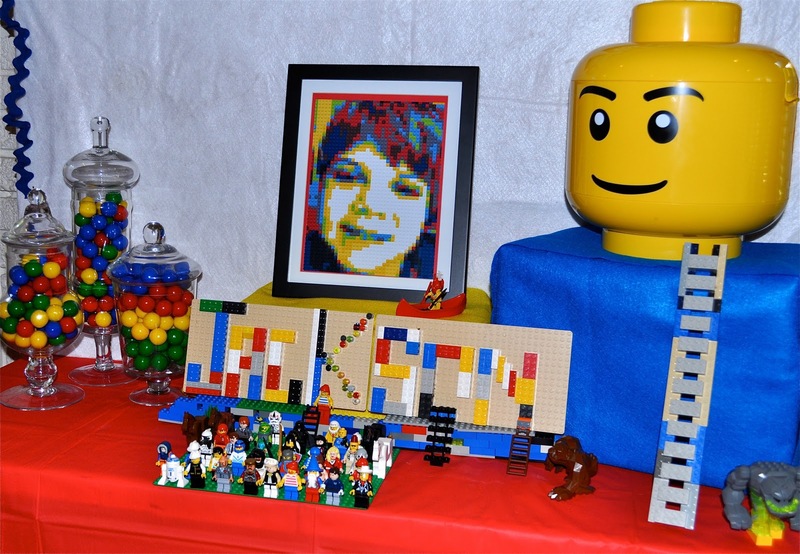 My idea was to take a picture of each party goer and their lego creation and put it in the frame to give them at the end of the party. But the kids liked the Lego men I put in the frames so much, I didn't bother and just gave them the frames as-is. The kids really liked being able to put their Lego men on top of the frames. They were a hit! I went to the Party store and bought the cheapest piñata I could find that was shaped like a box. 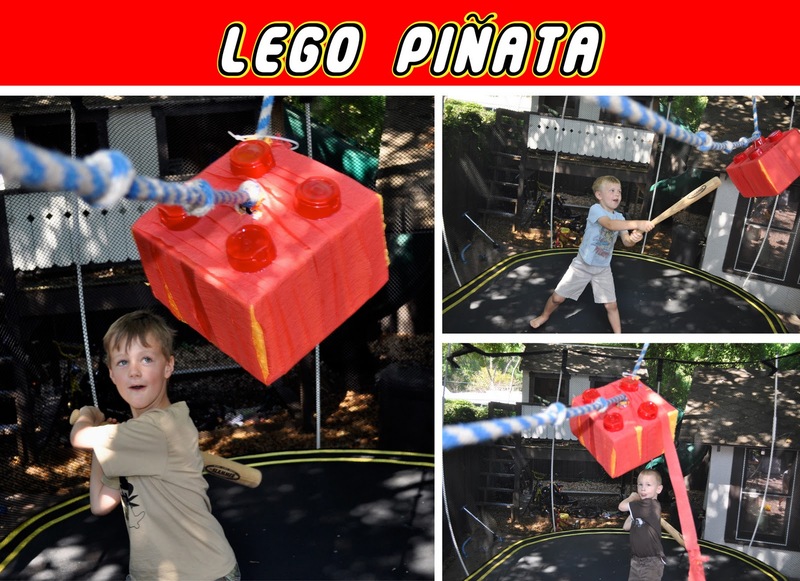 Then I added red streamers and four Solo Cup tops to make a Lego piñata. Then I strung it up on our trampoline and let each boy come up one at a time and take a couple of swings at it. I picked up these cute Lego Loot Buckets from the Party store too and added name tags so they wouldn't fight over who got which color. They got to scoop up as many Legos as they could from our Lego stash, plus the candy from the piñata and a few other goodies like the Lego man Soaps below and Lego man Flashlight Key Chains. Everyone's buckets were filled to the rims when the left. Everyone wanted to take home our coveted Lego men and I did not want to disappoint, since we have enough for a small country. So I put one Lego guy for each guest in little bead jars from the craft store and called them "Lego Freeze Chambers". This got lots of wide eyed oooooo's and ahhhhhhhhhhhhs from the group. They couldn't wait to pick out their very own Lego Freeze Chamber! 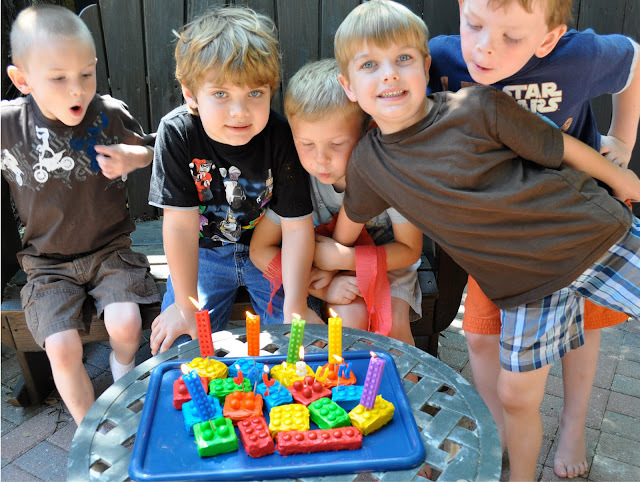 The Grand Finale was blowing out the candles on the yummy Lego Cakes. We actually had to light the candles twice because the kids were so excited the first time around they all blew out the all candles while Jackson still had his eyes closed making a wish. I think everybody went home happy. Happy 6th Birthday Little Man! I love ya! Your parties are always so creative. You really thought of everything. The boys looked like they had a blast! Would love to feature it. This inspired me to make a cake out of legos! THANK YOU SO MUCH for this idea, and for sharing it! I am now looking forward to planning his party, instead of worrying about it! Very, VERY impressive. What a cool party for your son. I love every part of it. Kellie, by all means, have at it! 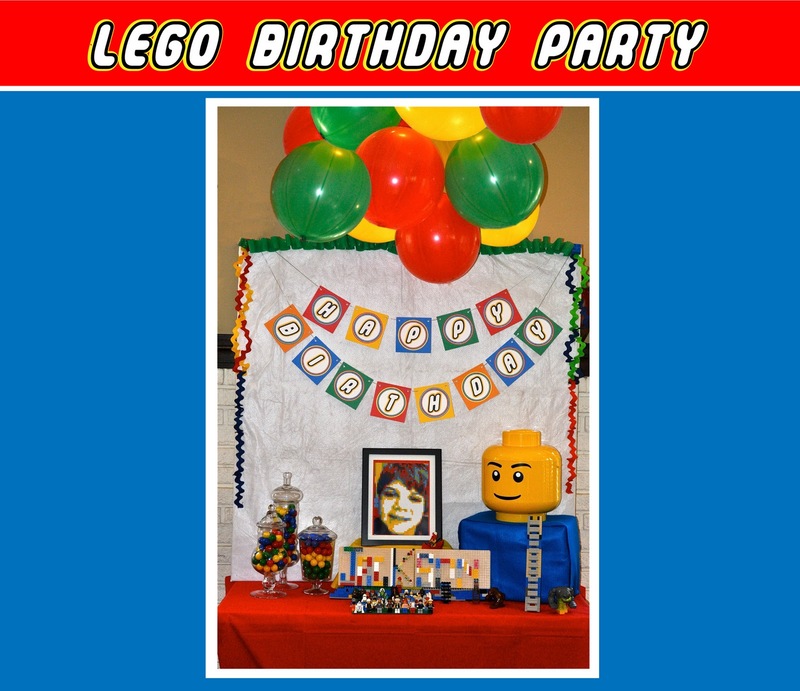 Let me know if you need some of my Lego Birthday printables! I need to put them in my etsy shop anyway. well this is the most adorable party! Amazing. Love all your little details!!!! great safety idea doing the pinyata on the trampoline - how did it work when it burst did they all scramble on?? This is incredible! I love what you did. Thanks Cindy! It was so much fun! My son wants another Lego party next year! That is amazing! My boys are saying they want the same one! It's a hit with the boys!! Hi! Love your party. Could you share with me where you got the Lego font? Thanks! Got them on etsy from Broken Road. Here's the link where I featured the soaps. Her link is in there. http://ewehooo.blogspot.com/2011/03/easy-lego-party-crafts.html Good luck with the party! They'll have a blast for sure!! 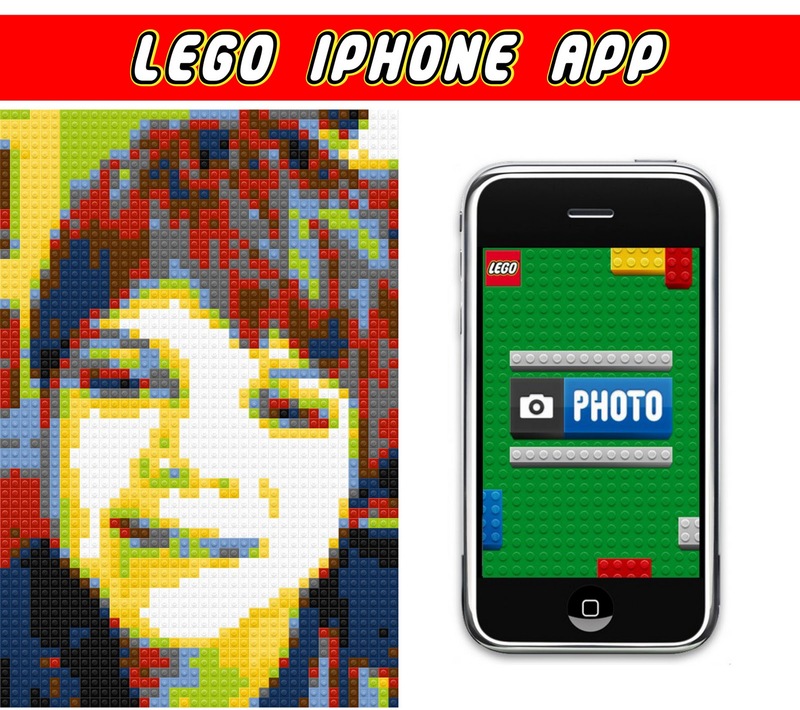 free lego app amazing! thanks for all the tips! 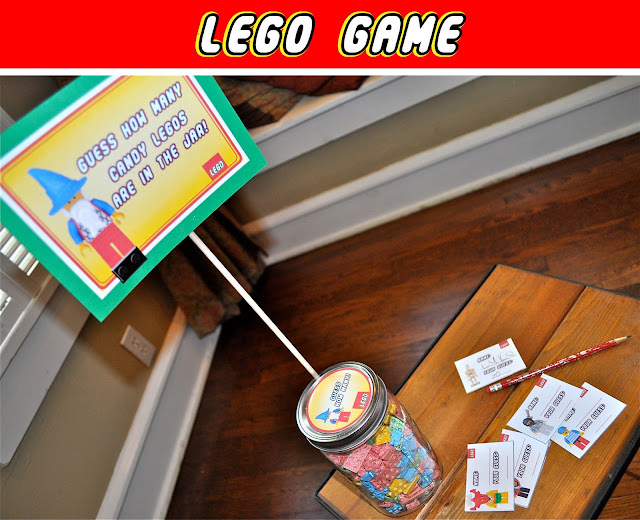 How did you make the cards for the game to guess how many legos are in the jar? I have that Lego app on my phone. I have never printed from it. Did you just save it to your pictures and upload it to a photo site/department? Great job on the party! Yep, I printed the Lego photo at Target! It's a cool app! Try it! 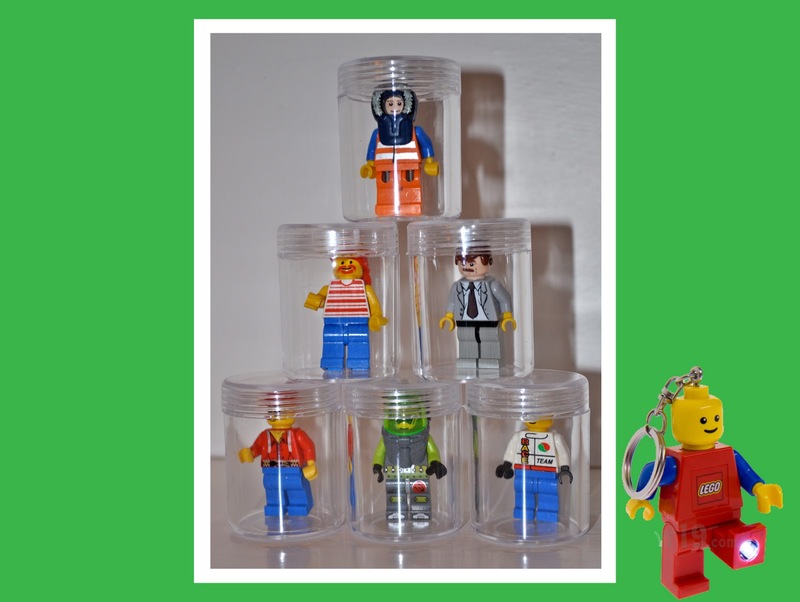 I am having a Lego party for my son and would like to know where I can find the Lego App... There are so many Lego apps and I have baught several Apps and I cant find the right one. Please Help!!!!!!!!!!!!!!!!!!!!!!!!!!!!!!!!!!!!!!!!!!!!!!!!!!!! 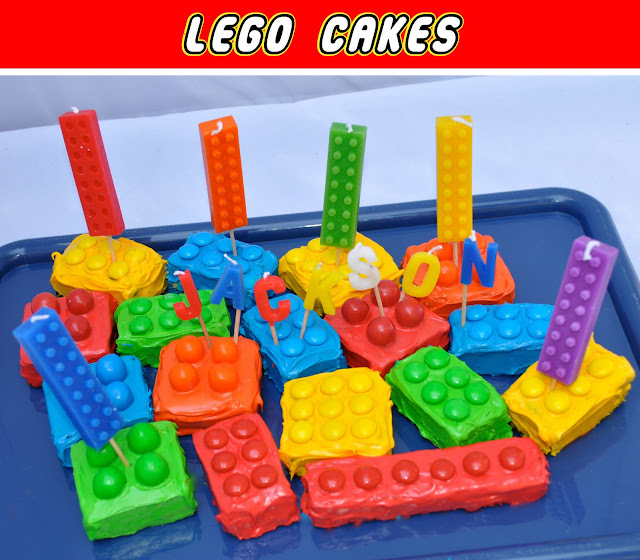 Your lego party/cake/food has been featured on BEST OF THE WEB LEGO PARTIES CAKES AND FOOD check it out and grab yourself a button. 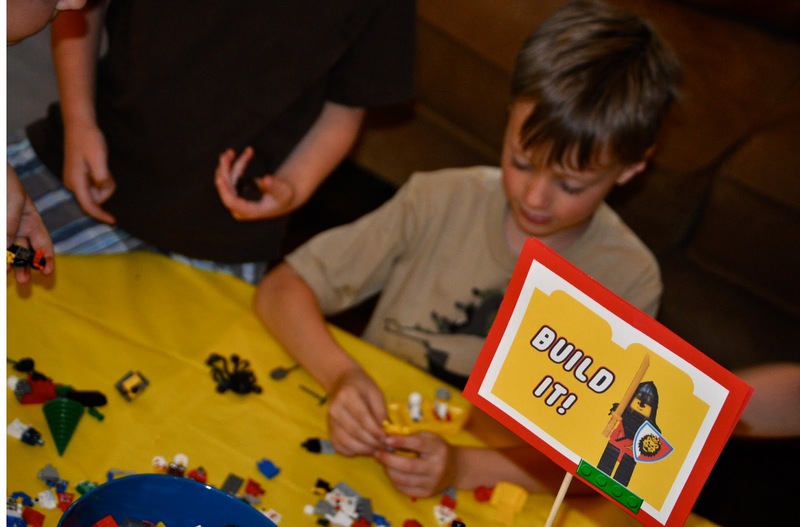 Could you please tell me how you made the photos for the Legos inside of the frames, and the "Build It" sign? Thank you for these great ideas! Hi There, I know this is an older post now, but we are planning a Lego party for our son's 5th birthday next month and I LOVE your ideas. I know you sell the kit for all the files in your shop, but I was just looking to see about the cards for the guessing game, the ones they fill out as will as the ones on the jar. Thank you! 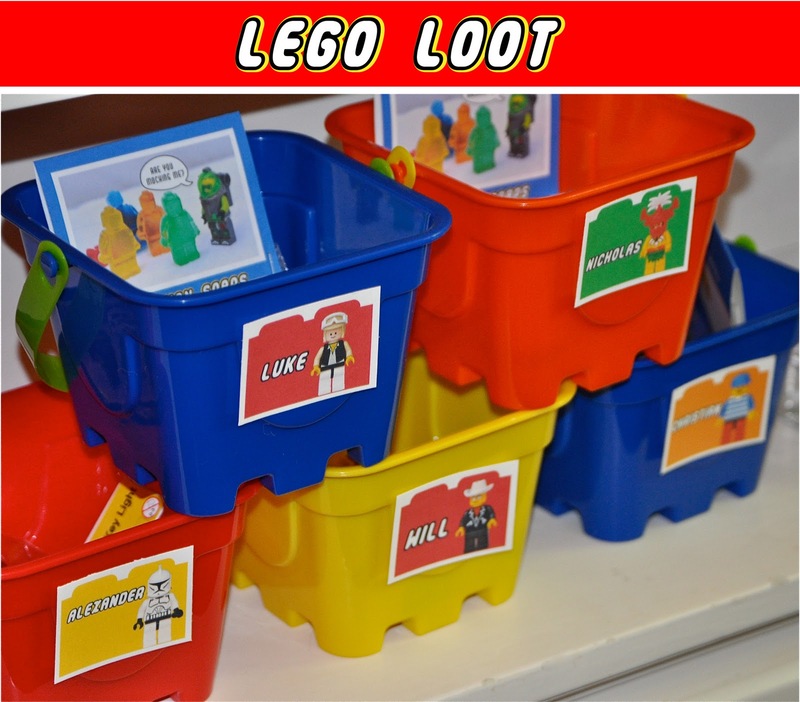 I'm planning a Lego Party for my Son's 5th Birthday and was wondering if you could help me out with finding the Lego loot Buckets you got for your son's party. I have searched google & ebay with no luck. I live in Canada though, so wondering if it might be a problem getting them up here? Any information you can give me would be great! Thanks. Hope the Lego Party is a blast! Let me know if you need anything else. Happy to help! where did you get the flashlights??? I think I got it at Barnes and Noble, but you can get them on amazon too! I'm looking for the iPhone app, but can't find it?